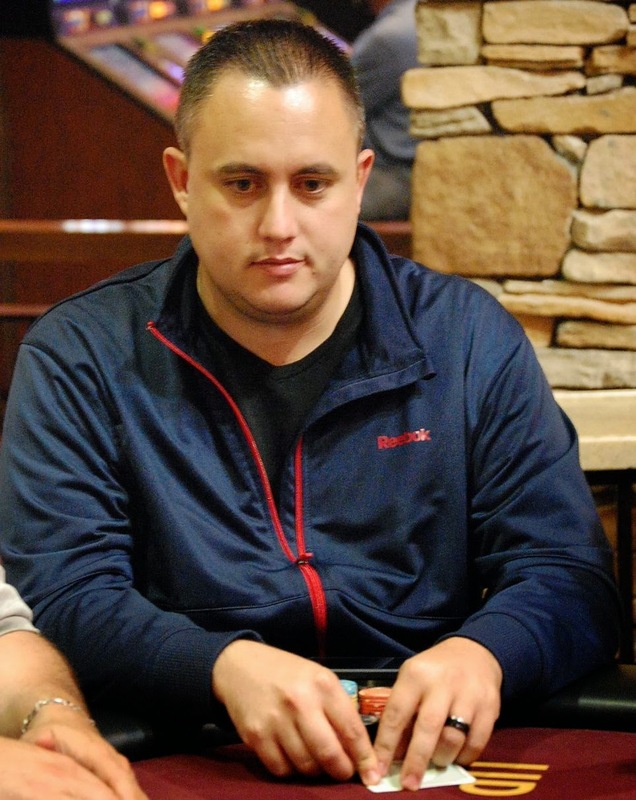 The overall chipleader to start the Heartland Poker Tour Main Event here at Thunder Valley, Joe Christman has made it through the entire 485-entry field to become the champion. Christman, 3rd once before in an HPT event, has defeated Jon Des Pois heads-up when his K♦Q♣ was good against the 65 of Des Pois on a board of Q♦3♠2♥A♥9♦. Christman takes home $165,130 for his win. Jon Des Pois raises to 200,000 and Joe Christman calls. The flop comes Q♦ 3♠ 2♥. Christman checks, Des Pois bets 250,000, Christman calls. The turn is the A♥. Christman checks, Des Pois bets 800,000, Christman calls. The flop is the 9♦. Christman checks, Des Pois moves all-in, and Christman calls. Christman shows K♦ Q♣ while Des Pois has 6♥ 5♥. Jon Des Pois takes home $101,888 for second place. The crowd on the rail was definitely Erle-sided tonight, with so many friends and fellow poker players on hand to see Sacramento's Erle Mankin at this HPT Final Table. Mankin has entertained the live crowd and those watching the livestream throughout the night. As we come back from dinner break, Joseph Christman starts action on the first hand back by limping from the small blind, and Mankin checks from the big blind. The flop comes T♠ 4♠ 3♣. 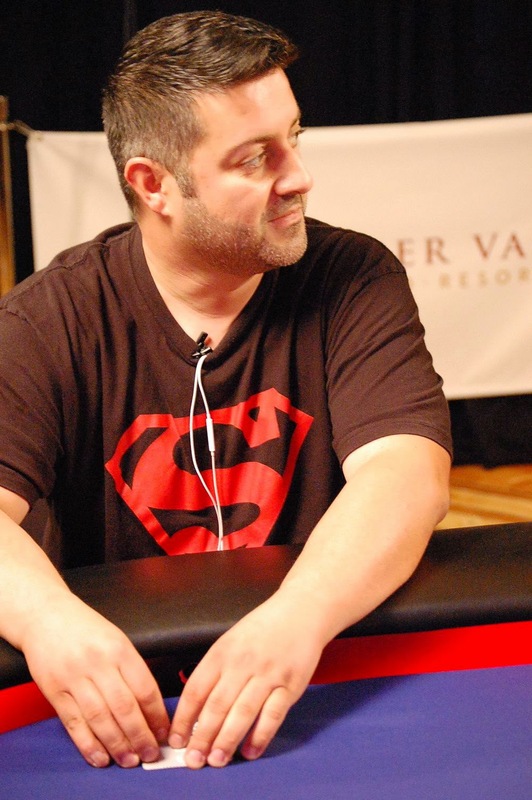 Christman bets 80,000, only to see Mankin move all-in for 1.46 million. Christman hesitates for a short time, and then calls. Both players show top pair, but Christman has T♦ 8♦ to the T♣ 5♦ of Mankin, so it comes down to a battle of kickers. The turn is the A♠ and the river is the J♠, the 8 for Christman plays. 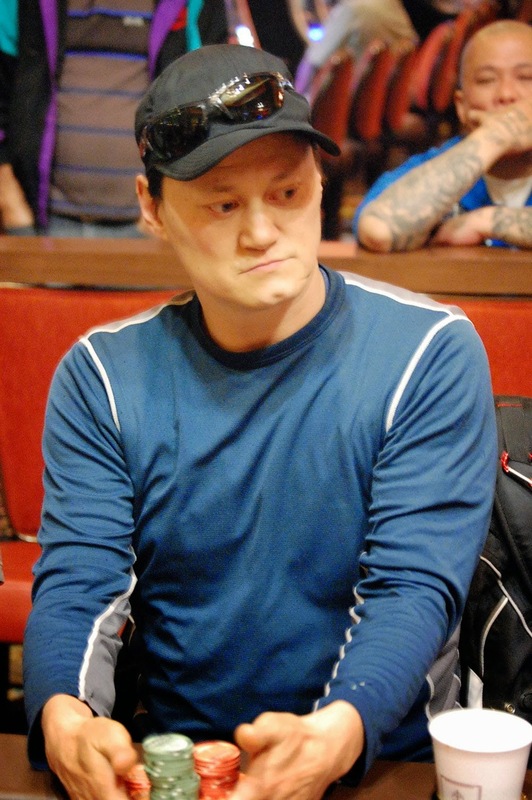 Mankin is eliminated in third place, collecting $66,754. Dinner break is over and the livestream picks up again in 30 minutes ..
Haroun 'Chino' Dalaig moves all-in from the button for 835,000 from the button, and Erle Mankin calls from the small blind. Dalaig shows T♠ 9♥ and Mankin amkes the call with K♦ J♣. Dalaig is at risk needing some help as his ten-nine is behind the king-jack held by Mankin. 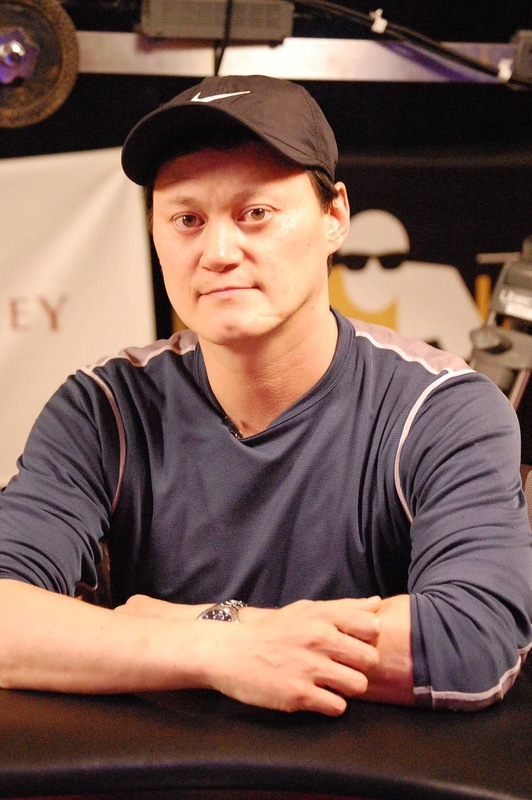 The board runs out K♣ 4♥ 2♣ A♥ Q♦ and Dalaig is eliminated in fourth place, collecting $46,377. The Poker Room at Thunder Valley is THE place to be for Monday Night Football. Not only is the game on tonight, but you can win your share of $5,000 being given away to cash game players during the game. Be at a table at the start of the game, start of the third quarter and end of the game and your table could have $100 added to the pot for that hand as a Rack Attack. Be playing live at the start of the second quarter and you could win $100. If you're playing live at the start of the fourth quarter, you could win $200, and if you're here playing live at 10 p.m. you could win $500 in a Hail Mary Hot Seat drawing. So .. what are you waiting for? Plan now to be here by kickoff at 5:30 p.m. and play through the game. Hey, the Bears vs. Jets ain't a bad game to watch as it is, add the cash prizes and there's only ONE place to be tonight ... right here in the Poker Room at Thunder Valley. , while Greenblatt has 4♦ 4♥. Greenblatt is at risk needing his fours to retain their lead in this classic race situation. The board runs out K J♠ 7♥ A♦ 9♣. 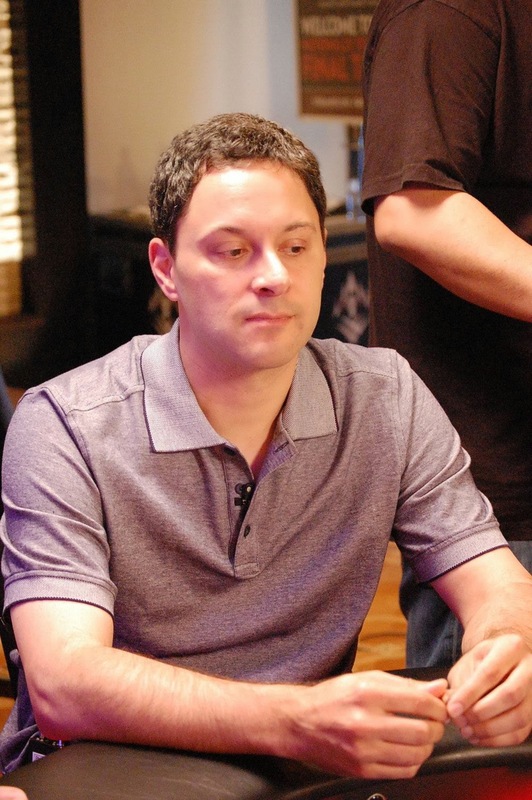 Alex Greenblatt is eliminated in fifth place collecting $34,431. “@ChipWhore: How good is @ErlePoker going to be for TV ratings @HPTPoker @HPTJaymz @TVPokerRoom @HoldemRadio good luck sir” -- He's great!! Just arrived @TVPokerRoom sweating the pearl @ErlePoker. .@HPTPoker #chipleader. .
@rukidingme44 @ErlePoker @zarrdogg wow someday I wanna be like a#erle and 5 bet to 1 million even!!!! 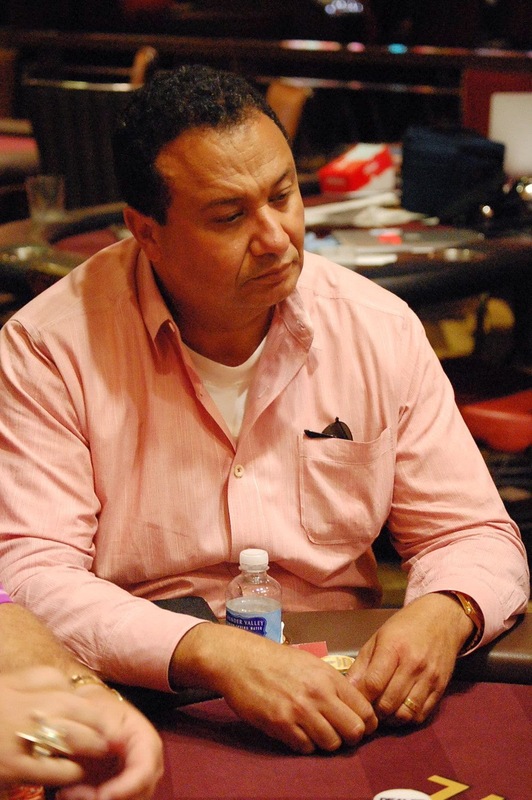 The board runs out A♥ J♥ 2♠ T♦ T♣, Aboukhalil is eliminated in sixth place collecting $26,702. Jeff Griffiths raises to 110,000 from the button, Joe Christman three-bets to 260,000 from the small blind, Griffiths calls. The flop comes Q♥ T♦ 4♠. Christman moves all-in, and Griffiths calls off his stack. Christman shows 4♦ 4♣ for bottom set, while Griffiths has an open-ended draw with K♦ J♠ The turn is the 9♣ giving Griffiths the straight. The river , however, is the 9♥ giving Christman the full house to eliminate Griffiths in seventh place for $23,118. 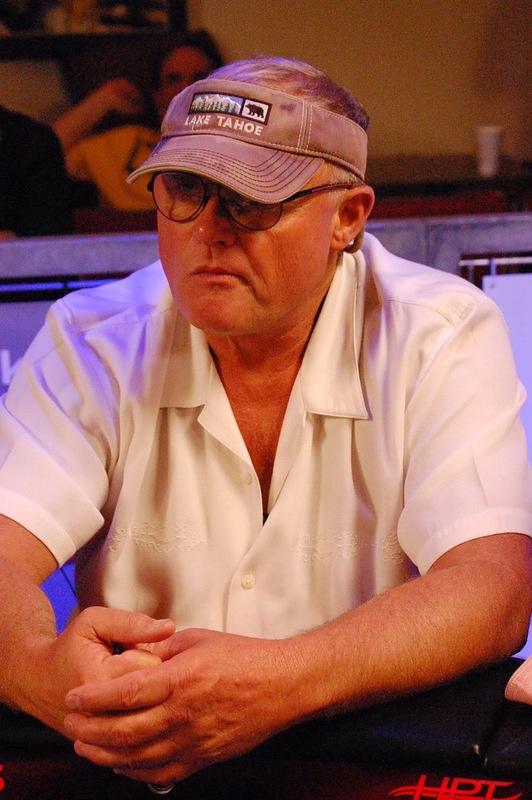 Archie Snider moves all in preflop for 355,000, Erle Mankin and Jeff Griffiths make the call. The flop is 9♠8♥4♠ and Mankin leads out for 180,000 and Griffiths folds. Snider shows A♥K♥ and Mankin shows J♣J♠. 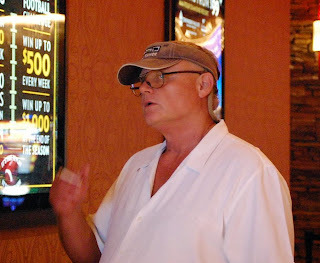 The turn is a 5♦ and the river is a Q♣ and Snider is eliminated in 8th place for $18,972. 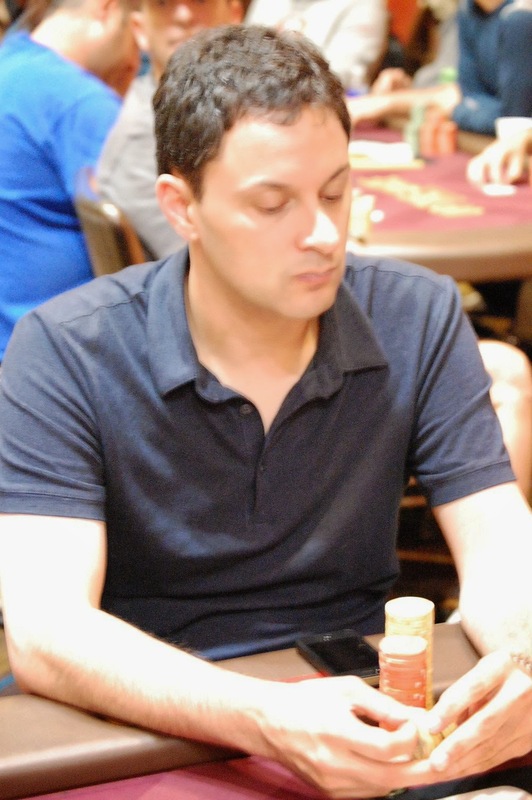 Our 9th Place finisher in the Heartland Poker Tour Main Event, Sargon Shiba, ran 6♦4♦ preflop into the pocket AA of Alex Greenblatt. Shiba earns $15,459 today. 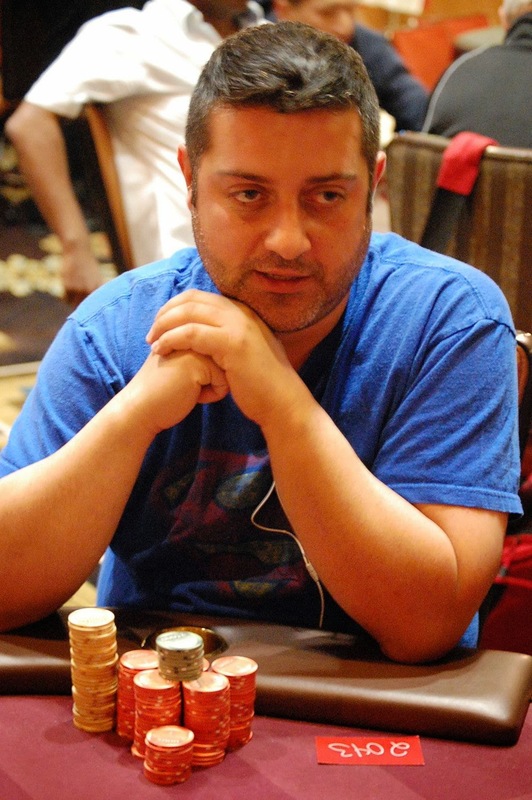 Sargon Shiba has one career cash with the HPT, a 26th place finish earlier this year at Club One Casino in Fresno, CA. 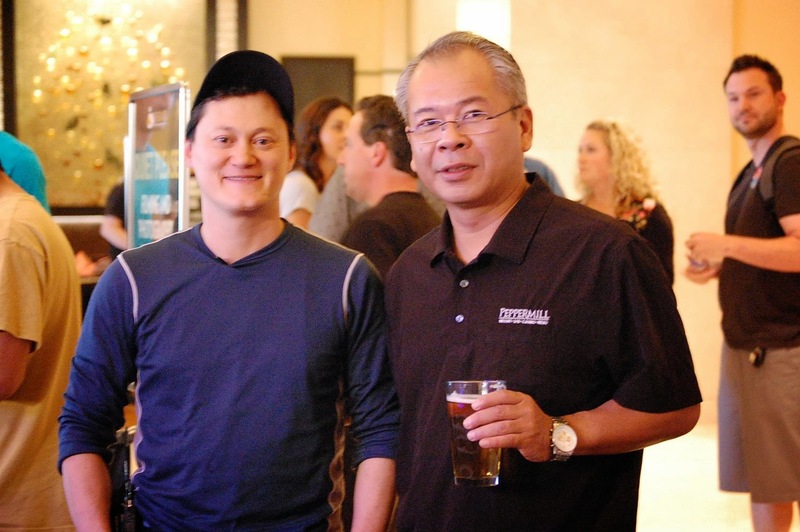 The solutions architect from Cupertino, CA was born in Chicago. He is planning on using his winnings from his largest career cash to invest in the stock market. 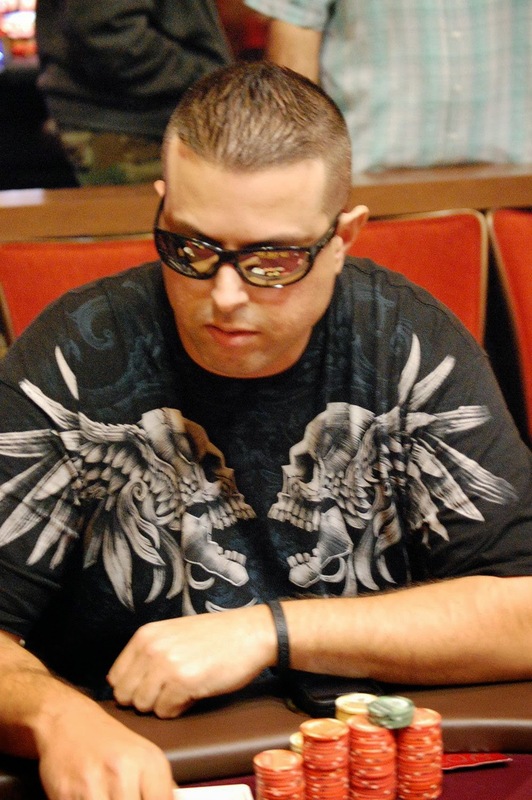 Jeff Griffiths comes to the Final Table from Alameda, CA. The 41-year-old attorney has over $60,000 in career earnings. 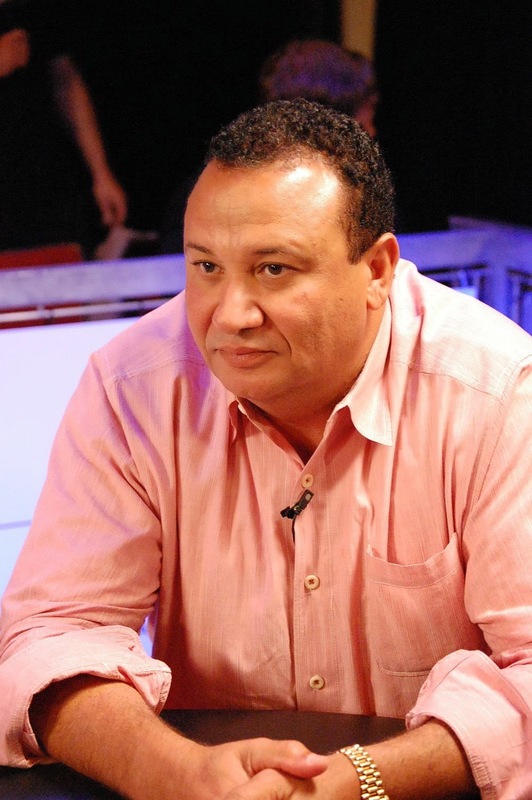 Abrahim Aboukhalil is appearing in his first career Final Table in his first ever HPT event. The 49 year-old Hillsbrough, CA businessman has just over $20,000 in career earnings. 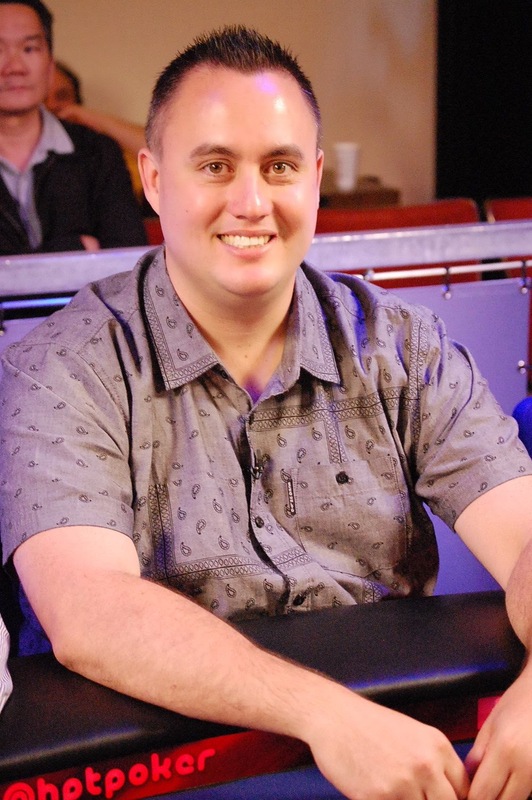 Auburn, CA resident Jon Des Pois has just $300 invested in this event looking to get maximum return on his investment. The retired 59 year-old teacher has close to $100,000 in career earnings. Erle Mankin is a Real Estate Investor from Sacramento, CA. The 34 year-old has just under a quarter of a million in career earnings and is planning on putting his winnings in the bank. 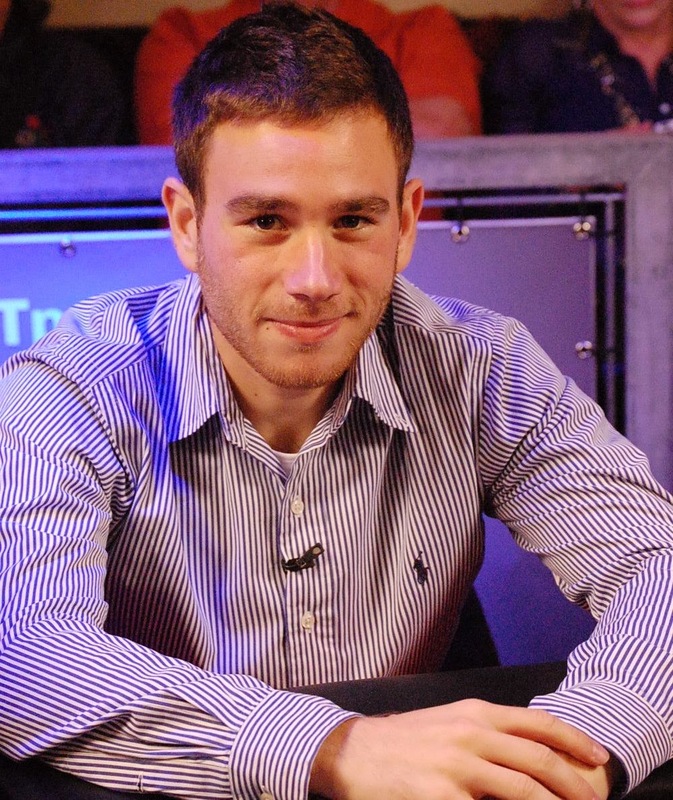 Alex Greenblatt, 23, is no stranger to the lights and cameras of a HPT Final Table. 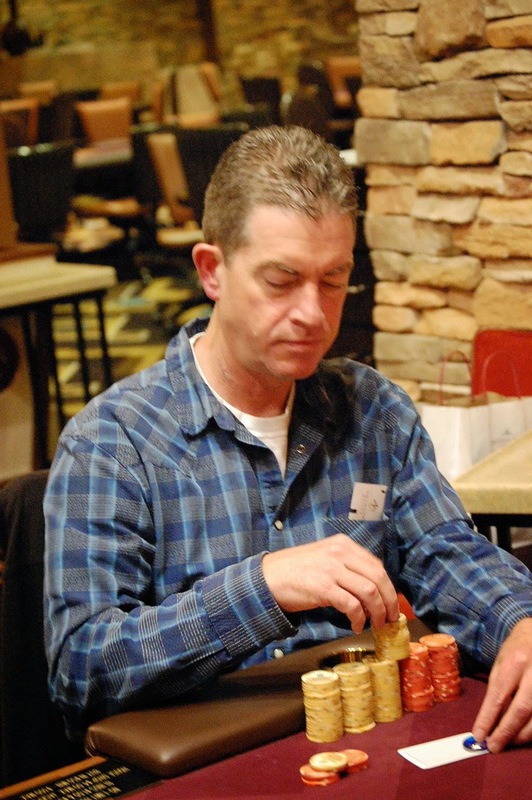 The Atherton, CA resident finished second last September at our Golden Gates Casino & Poker Parlour event and then repeated that earlier this year at The Commerce Casino in May. 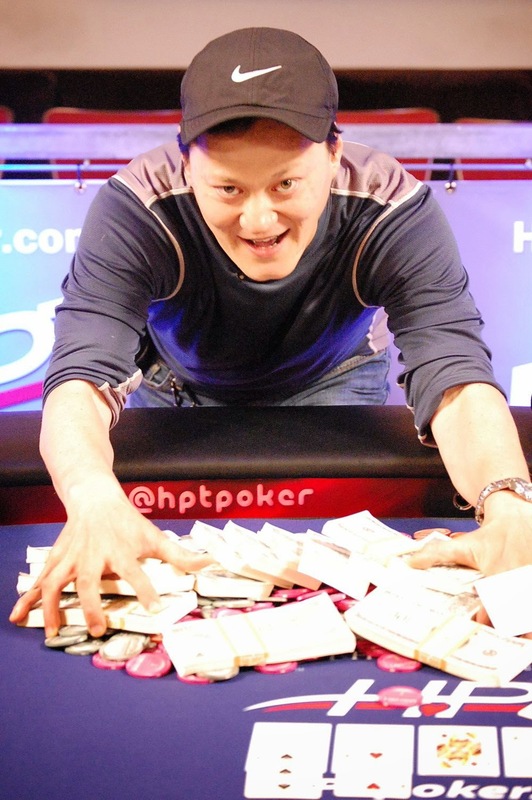 He haas over $360,000 in career earnings with over $250,000 of that coming from his HPT Final Table appearances. 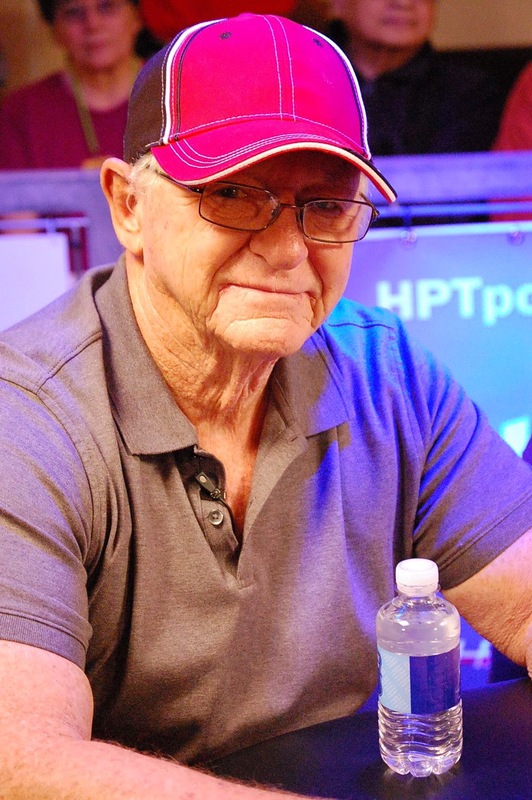 Archie Snider comes into the Final Table as the shortest stack, but he plans on using his 73 years worth of wisdom and knowledge to turn that around. 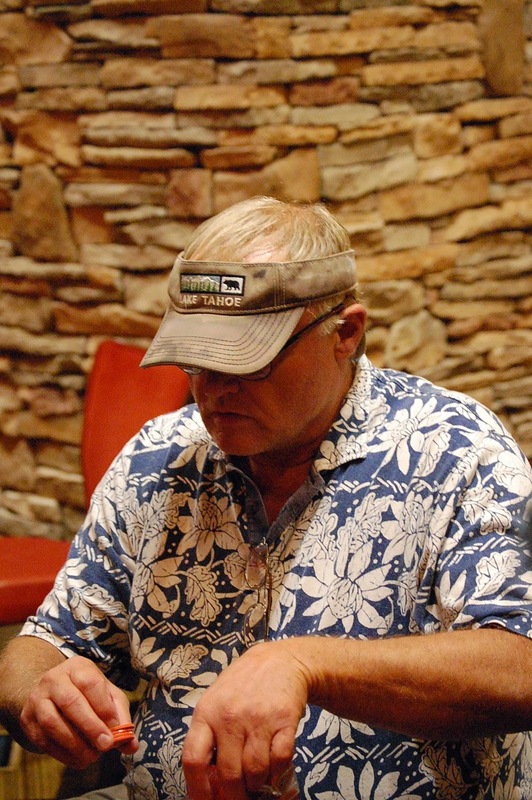 The retired general contractor and real estate investor has around $30,000 and is playing in his first ever HPT tournament. The Atherton, CA resident plans on using his winnings to increase his poker bankroll. Haroun “Chino” Dalaig, 36, resides in San Francisco, CA via the Philippines. The full time student and poker player served in the US Air Force for nine years. 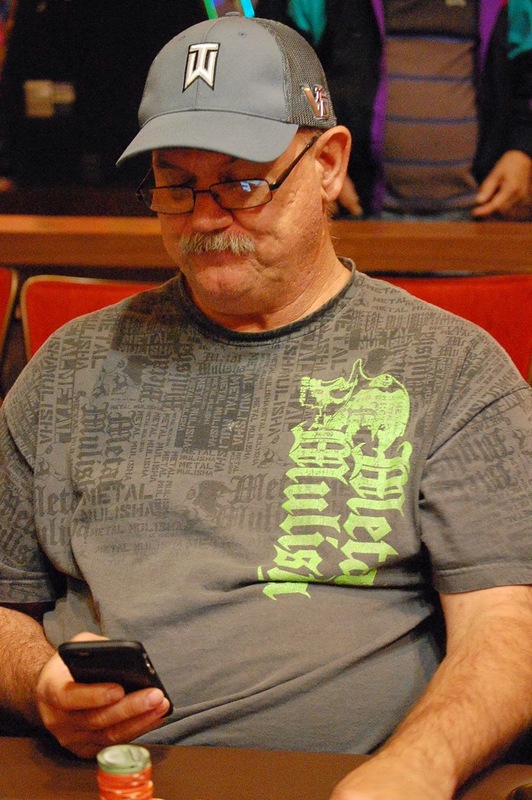 He has $12,000 in career tournament earnings, with his largest cash coming just a week ago at his first HPT event ever at The Commerce Casino. 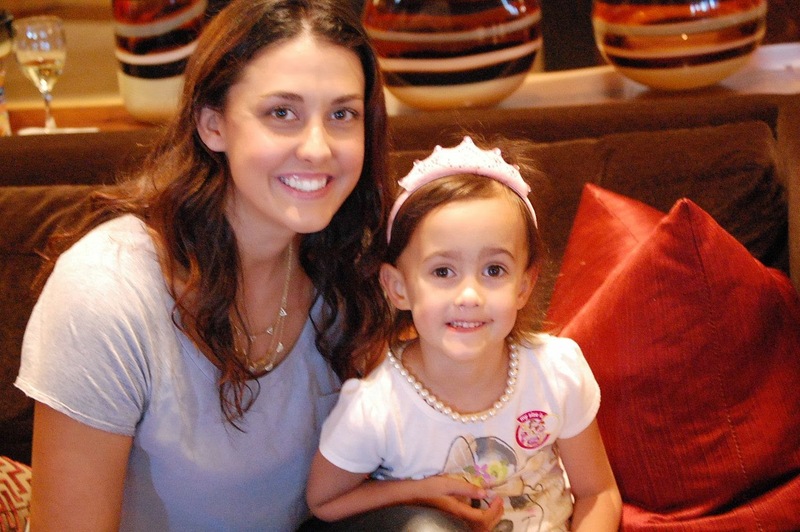 He plans on using his winnings from this week to buy his daughter stuff and play more HPT tournaments. 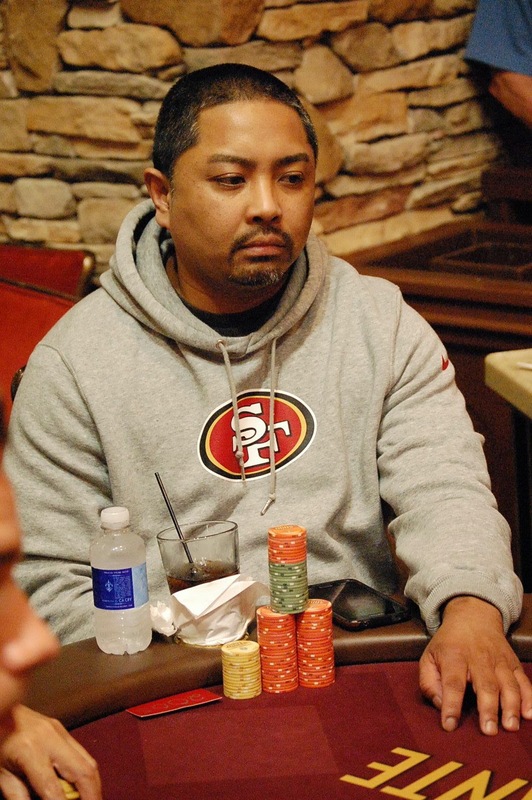 Joseph “Joe” Christman of Pacifica, CA starts the Final Table as the chip leader. 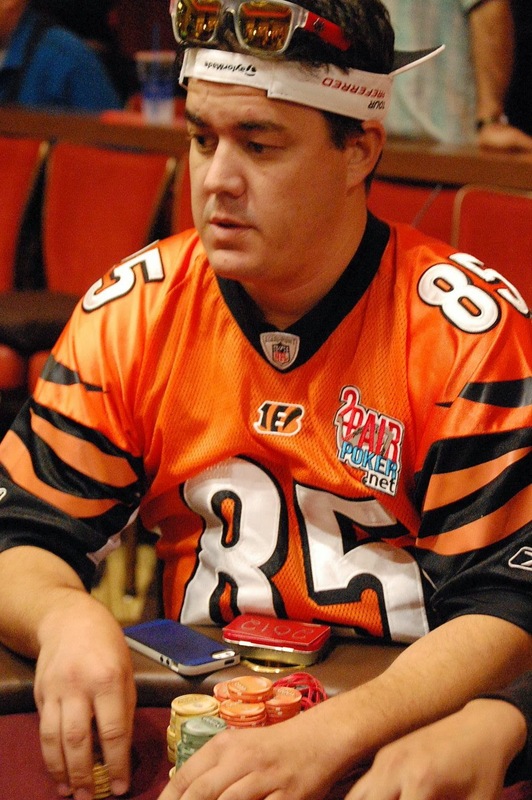 The 39 year-old professional poker player has over $57,755 and walks away with his largest career cash as long as he is not the first player eliminated. 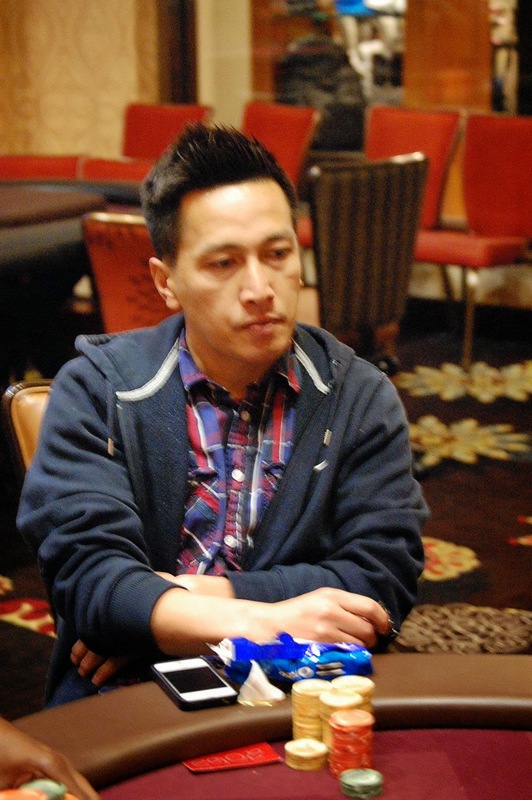 Originally from Soeul, South Korea, Christman is playing his second ever HPT, his first was in Reno, Nevada where he scored a third place finish. Follow along with the action with the live stream of The Heartland Poker Tour Main Event final table here at Thunder Valley Resort, action is on a 30-minute delay. 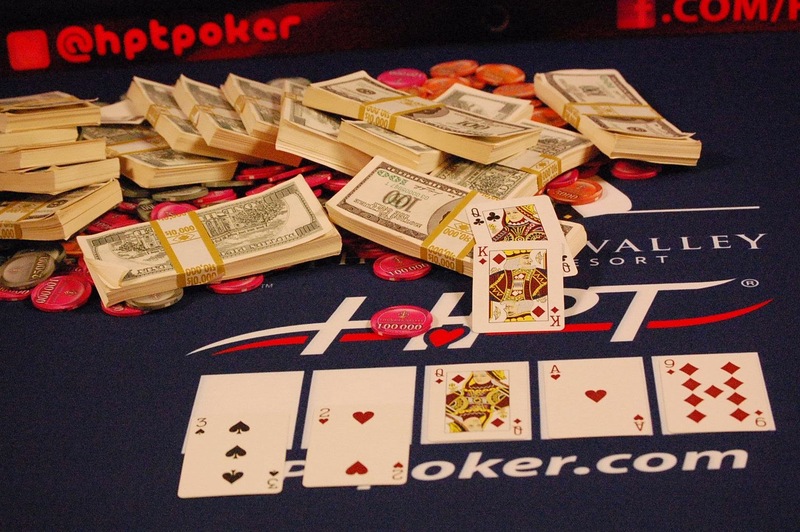 Here are your results from Event 10, the $150 bounty from the 2014 Players Championship Series. Here are the official chipcount for the final nine players in the Heartland Poker Tour Main Event. Play begins at 1 p.m. Monday, the livestream runs on a 30-minute delay at hptpoker.com/live.php. Be sure to join us online tomorrow starting at 1 p.m. for the livestream final table of the Heartland Poker Tour Main Event. We'll have the livestream link, official chipcounts for the HPT Nine and more posted here on our blog in the morning. Amber Chatwin moves all-in from early position and Alex Greenblatt goes over-the-top all-in. The rest of the table gets out of the way and Chatwin shows K♦J♦, but she has run in to the QQ of Greenblatt. This brings Day 2 to a close, the remaining nine players return at 1 p.m. Monday for the televised Final Table. Jeff Lennon moved all-in and Jeff Griffiths snap-called, tabling KK and finding himself way ahead of Lennon's TT. The board ran out AJxxQ and Lennon has finished in 11th place, one shy of the unofficial final table of 10 day. He earns $12,297 for his 11th place finish. With the elimination of Mario Sequeira of Hanford, CA in 12th place ($12,297) we are one away from the unofficial final table, and two away from bagging up for the night. 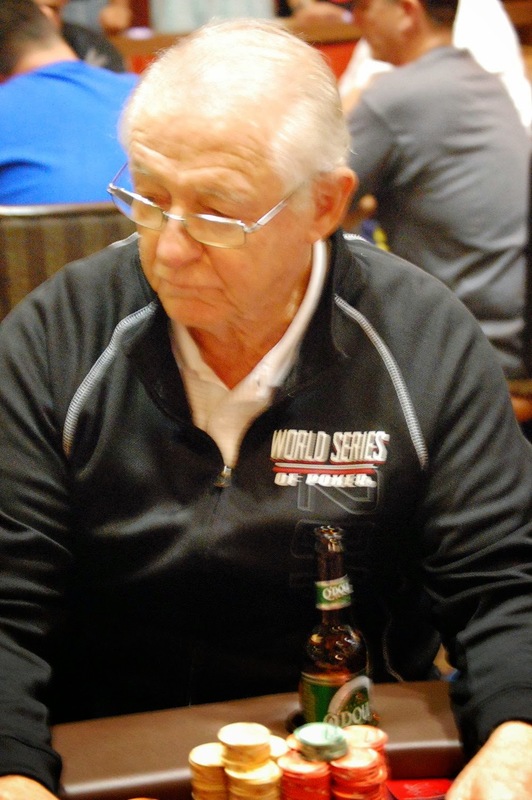 Anton Dimagiba has been eliminated in 13th place today, cashing for $9,065. We are three eliminations away from bagging chips for the night and coming back at 1 p.m. Monday for the HPT Televised Final Table. Chipleader Joe Christman leads out for 66,000 and Ron Larson makes the call from the small blind. Larson checks the flop of 2♥Q♣3♣ and Christman makes it 76,000 more, drawing a call from Larson. 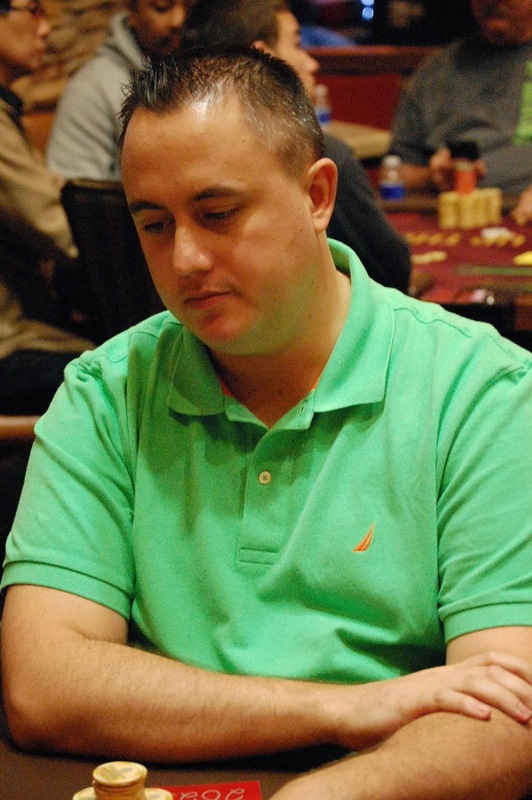 The A♣ turn is checked again by Larson and Christman fires once more, making it 130,000. A call from Larson brings the river 2♠ and a third check from Larson. Christman announces all-in and Larson calls his stack off, tabling A♠K♠ for top pair, top kicker. 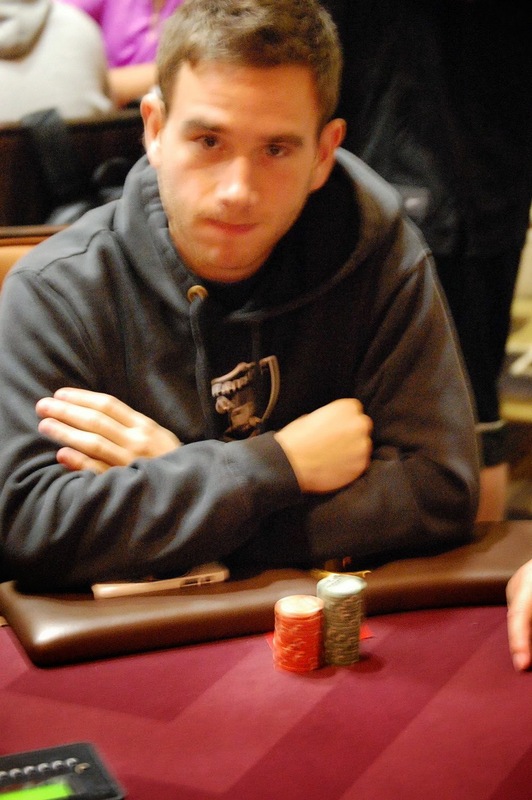 Christman had bet out to 66k with J♣9♣ and got there on the turn, eliminating Larsen in 14th place. Larson goes home with $9,065. Two quick bustouts as we returned from Break. Yuma Zheng was out in 16th, and we just lost Jef day in 15th. Day earns $9,065 today, leaving us 5 players away from the TV Final Table tomorrow. 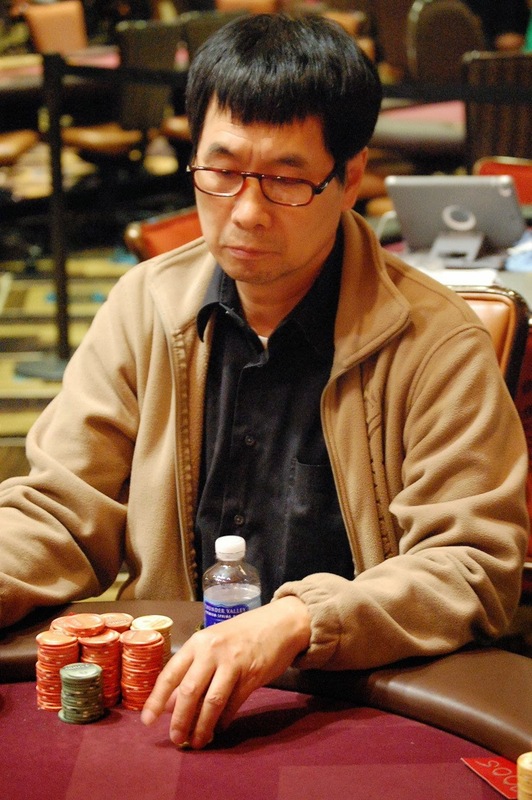 Jun 'Yama' Zheng of Redding, CA, has been eliminated in 16th place. HE lost nearly 800,000 in chips the hand before break when his QQ ran into the AA of Haroun Dalaig. Yuma -- runner-up here in the Ante Up World Championships Main Event 6 weeks ago -- was out the first hand after coming back from break. 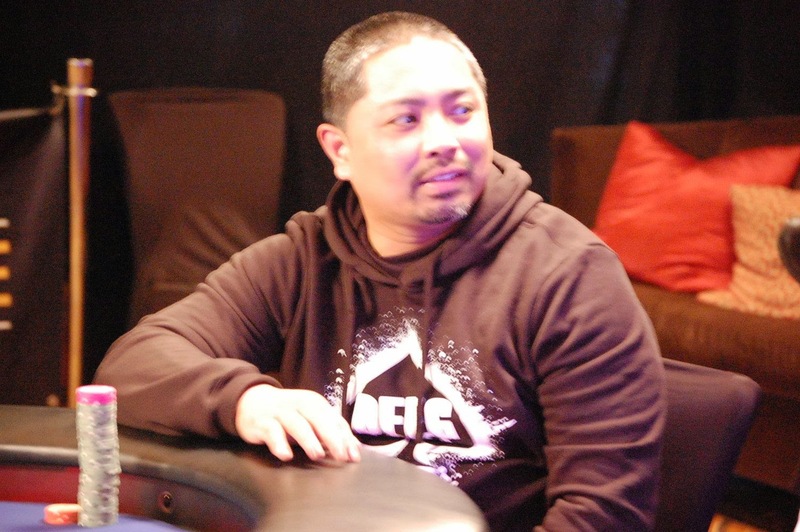 Haroun Dalaig picked up a BIG double-up right before players went on a 15-minute break as his pocket aces held against the pocket queens of Jun Zheng. Dalaig moves to about 1.48 million. The remaining 16 players are on a 15-minute break, coming back to blinds of 12000/24000 with antes of 3000. We really are at 16 players, sorry folks about the name mixup when we posted the bustout in 18th place. 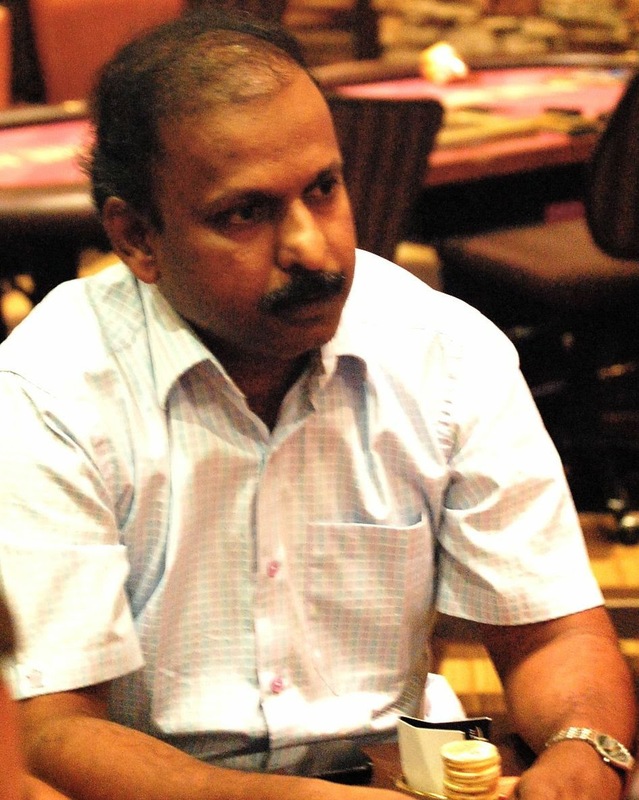 Jasthi Kumar was the first player eliminated once we made it down to two tables today. 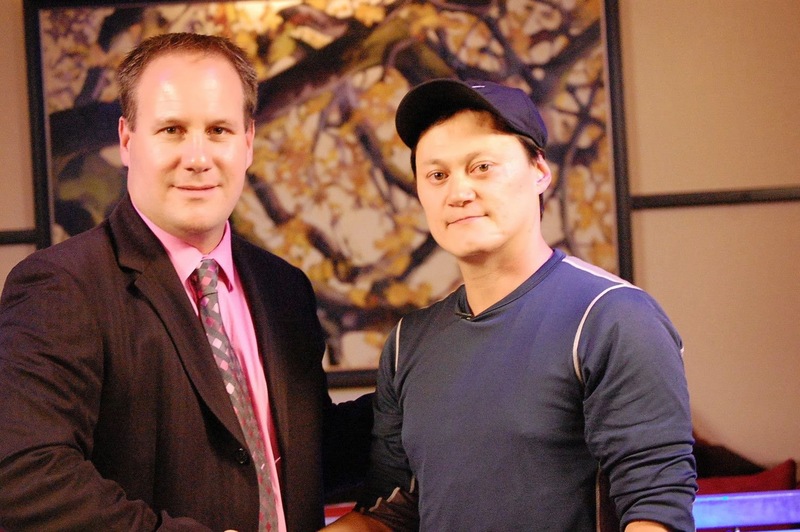 He earns $6,746 in the Heartland Poker Tour Main Event. 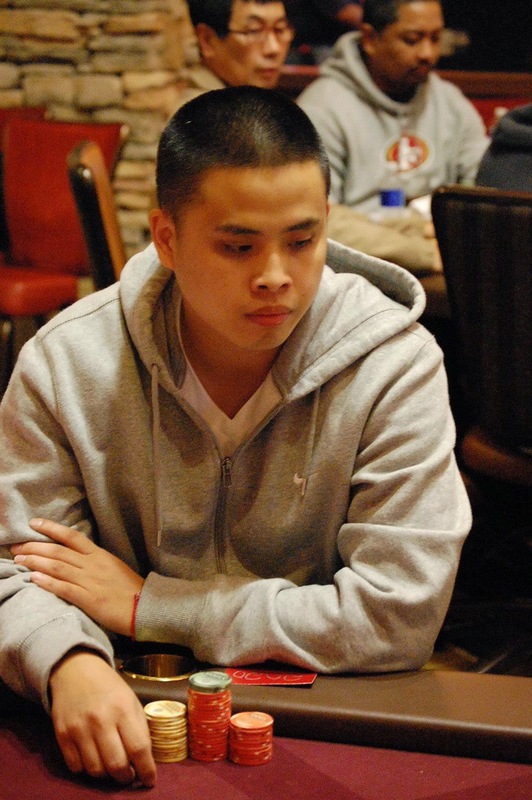 Simon Lam of Philadelphia, PA places 17th in the Heatland Poker Tour Main Event, cashing for $6,746. We are now 7 players away from bagging chips and coming back Monday for the TV Final Table. 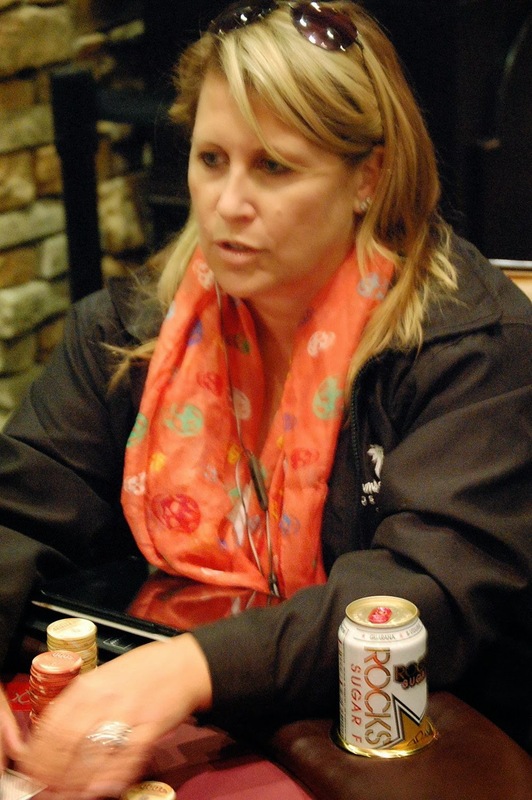 Down to the final two tables and Amber @bonechick Chatwin is the Last Woman Standing in the @hptpoker Main Event here at Thunder Valley. 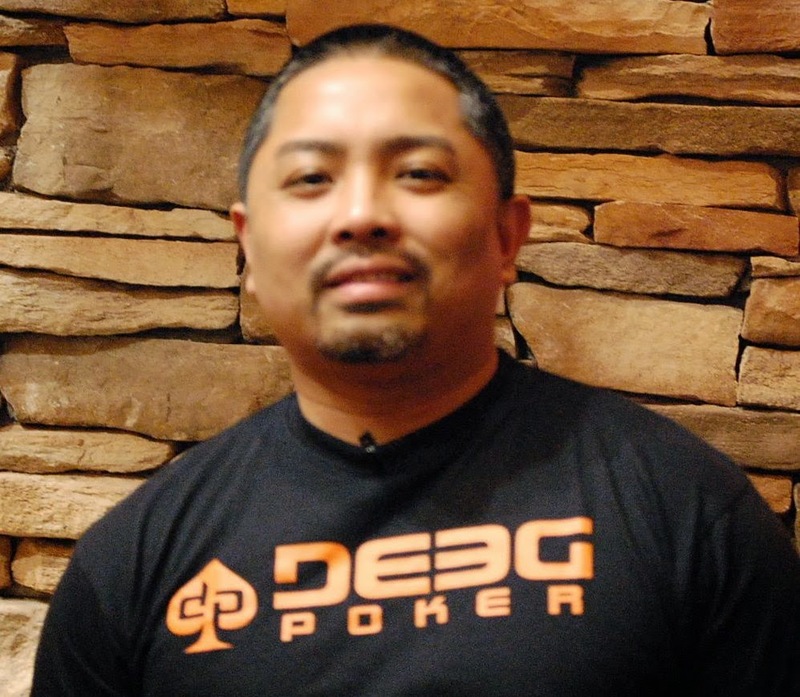 With the elimination of Quyen Hoang in 19th place, we move down to the final two tables of teh ngiht and another redraw. 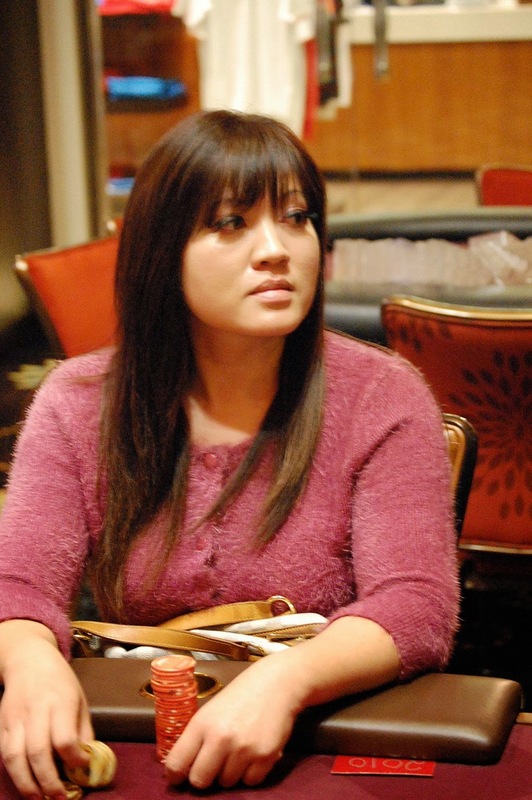 Hoang was down to barely more than 1bb when she moved in blind, getting a call from Erle Mankin. 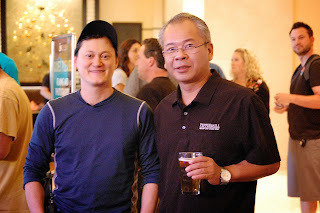 Hoang showed Q♠3♠ and Mankin turned up pocket ten's. No queen came out, and Hoang cashes for $,5200. The final event of the Players Championship Series, the $10,000 guaranteed, $150 Bounty Tourney, kicked off at 7 p.m., we're in Level 2 right now and registration stays open until the start of Level 5. Players start with 6,000 in chips and earn a $50 bounty for each player they knock out during the 25-minute levels. 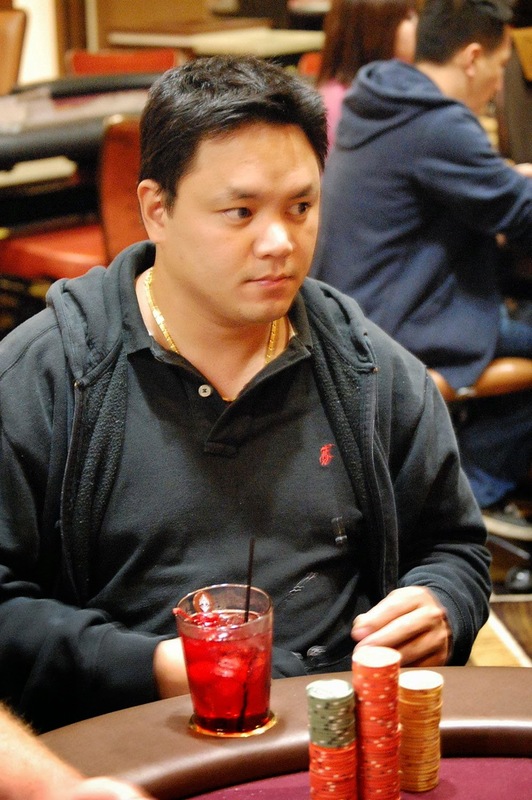 The post-dinner-break bustouts are flying and now Toan Nguyen, who started the day 2nd in chips -- and finished 8th in the $200k guaranteed Card Player Cruise -- has been eliminated in 21st place earning $5,200.